The CrossFit Games open is here again! 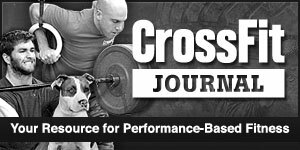 Each Thursday at 5 pm for the next 5 weeks CrossFit will release a workout to test our skills that we have developed throughout the year. We will do these workouts as a gym on Saturday mornings during the regular class times. We have no control over what the workouts will be, so as they are released we will be sure to make any adjustments necessary to make sure these workouts are appropriate for our members who are not registered to compete in the open.